Racing minds, excited thoughts, and new ideas are themes this morning, after which there is more flowing energy that stimulates emotions and a focus on our connections to others. The Moon is in Virgo until 5:41 PM. The Moon is void until 5:41 PM (since 10:21 PM yesterday). 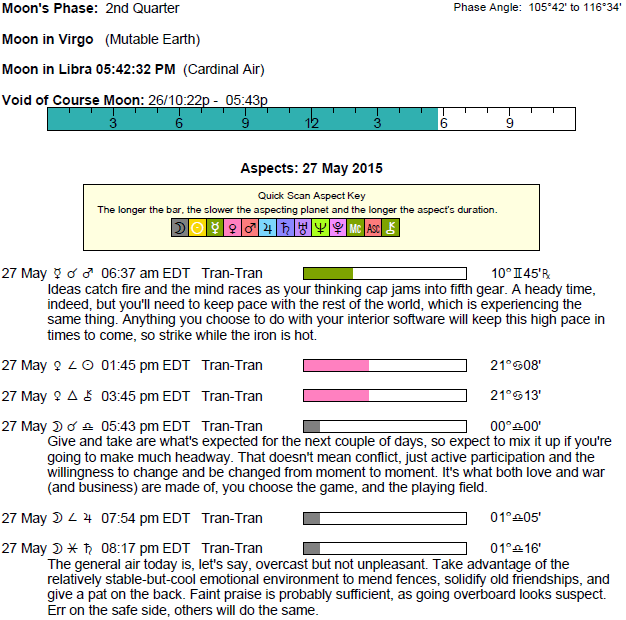 The Moon is in Libra from 5:41 PM forward (until Saturday, May 30th, at 5:33 AM). The early morning can be mentally busy, Aries, after which this can be a pleasant day that flows quite naturally. Loving feelings come easily. 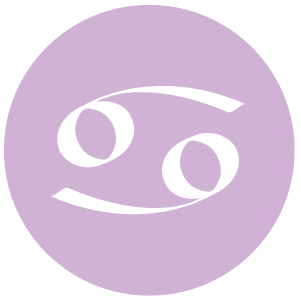 With Venus in self-protective Cancer these days, you are drawn to, and value, familiar situations, people, and feelings, particularly in love. Today, you are particularly interested in creating or maintaining harmony in your relationships and in your home. If you need to repair a relationship, it’s a particularly strong time to do so. Being willing to approach emotional matters in unique ways is the key now. There can be healing happening through quiet or family activities, or even through a bit of solitude. 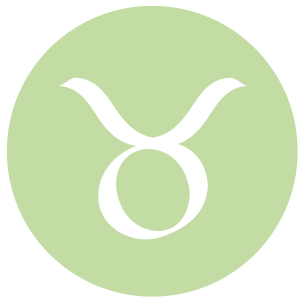 The morning continues the higher energy of yesterday, dear Taurus, but as the day advances, you’re more inclined to settle in. It’s a good time for talking about something close to your heart. It’s also a fine time for presenting your ideas or your case, and for building trust or winning others’ favor. If there have been relationship difficulties, you might feel a nice rush of optimism and energy to repair them. 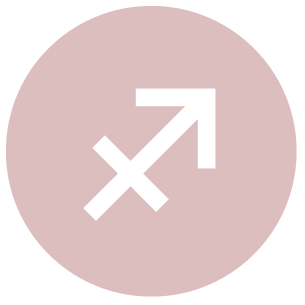 With Venus currently transiting your communications zone, you feel positive in relationships when there’s good verbal rapport. Today brings strong energy for opening up conversations and feeling the support of people in your life. There can be a real feeling of emotional wholeness through your conversations and connections. The morning brings a stronger desire to take action, to make things happen, and to think and possibly over-think, Gemini. As the day advances, you have especially good instincts for what is truly valuable to you. This might seem straightforward, but in fact, we are not always in touch with what we really want and what means the most to us, and this can apply to both tangibles and intangibles. Today, circumstances are such that you see these things more clearly, and you are less likely to question commitments. This is a good time for opening your heart and letting some of your fears drop. Others seem to be on your side. It’s also a strong time for combining talents, abilities, and resources with someone quite successfully in order to get something constructive done. An unusual or nontraditional approach to business today can be most worthwhile. The morning is mentally busy, Cancer, and it’s possible that you find it difficult to rest. However, as the day moves forward, you are likely to feel much more at ease. It’s a strong time for personal charm with Venus in your sign supported by Chiron. People are especially drawn to your wisdom and advice or support. You can feel an opening up of your heart and if you’ve been feeling insecure about a relationship, this can dissipate right now. You are more courageous with your feelings and emotionally sure-footed. You are approaching matters of the heart and relationships in general in an open, unique way, and this helps to break down walls. Your mind can be very busy this morning, dear Leo, and it can be difficult to put it to rest. You may be going over exciting new ideas. As the day moves forward, though, it’s quite easy to relax. There can be nice opportunities to revitalize a relationship or to reconnect with your inner world. You can see others’ actions in a more compassionate light as well. There could be a new understanding about a private matter or relationship. You are a little more open to sharing something personal, and this can be a pleasant, helpful release. There can be new understanding of an emotional matter, and there can be a focus on unblocking and healing now. 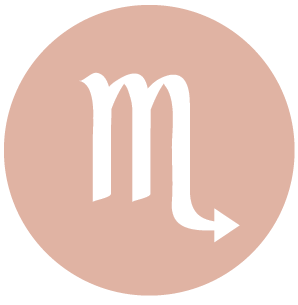 There can be many ideas about long-term plans or business and career matters racing through your head early today, Virgo. There can be a surge of motivation to handle problems or to resume an old project. You may have far more ideas than time, however! As the day moves forward, you’re more inclined to relax. There can be some wonderful connections made or special pleasure derived from friends or plans and dreams of the future. You’re focused on the positive and the growth-oriented aspects of your relationships today, and you might learn a lot through others with your heart as open as it is today. 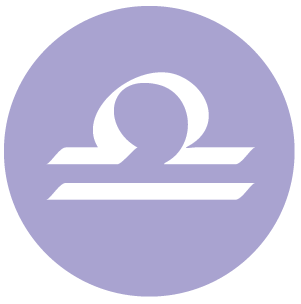 While the day starts off very “mental”, dear Libra, as it moves forward, feelings are more strongly in focus. The morning can bring some racing thoughts and an abundance of ideas, after which there is a tendency to want to relax and enjoy yourself. Personal appeal is good, and matters of the heart are strong. You are more open to learning from others, and this helps you to pick up a lot more than usual. Business and practical sense are improved with a nice dose of intuition and confidence, and you could feel more valued by others, especially those you work with or in a position of authority. If you feel a need to improve or repair trust and warmth in a relationship, this can be a good time for it. The Moon enters your sign this evening, and this brings emotions up to the surface. The day begins at an accelerated pace, dear Scorpio, although this may happen only in your mind! New ideas and old problems can keep your mind racing, but the day’s energies change significantly going forward. It’s a strong day to improve and repair relationships. If you’re thinking of something nice about someone, share it, as it can open others up, and good conversations as well, which can open up new ways of thinking and new perspectives. If you need advice or simply would enjoy others’ perspectives, this is a good time to reach out. Acceptance and patience are key ingredients for successful relationships now, and fortunately, quite easy to come by. 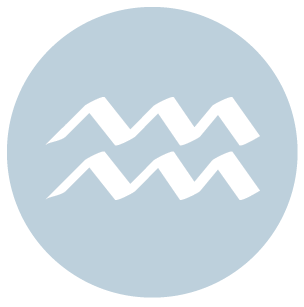 Morning’s energies are busy and especially focused on ideas or movement, dear Sagittarius, but as the day advances, there is less of a rush. It’s time to tune in to feelings and to give your brain a rest! 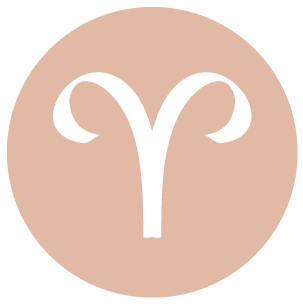 Venus in your intimacy sector these days can get you into stronger touch with your emotional attachments and inner passions, and today, the pipeline is way open with Venus in fortunate aspect to Chiron. Chiron is currently residing in your sector of home, family, the past, and personal identity, stirring up vulnerabilities and offering gifts of vision in these areas. This can also be a good time for working through sharing problems, problems with finances, or other matters of support and backing. It’s a strong time for repairing relationship woes, if necessary, or of coming to a better understanding of your relationship situation. 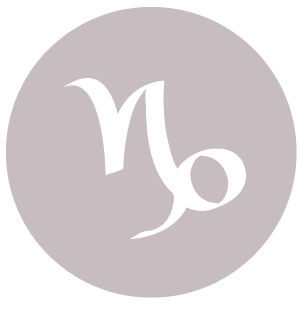 The morning brings a quick pace and a focus on matters of the mind, dear Capricorn, but as the day moves forward, connections and attachments, as well as emotions and feelings, tend to take over. Personal appeal is good, and you might enjoy a feeling of warmth and faithfulness in a relationship, particularly as you open up and allow yourself to feel a little vulnerable. It’s a good day for getting closer to someone. 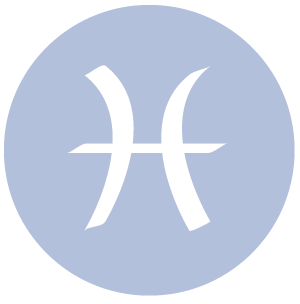 Venus has been moving through your partnership sector, and this tends to bring a little more harmony in relationships. 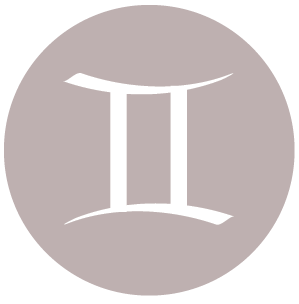 Today, Venus connects beautifully to Chiron, stimulating more understanding and respect. Conversations are open, words are healing, and you are focused on improving and growing. 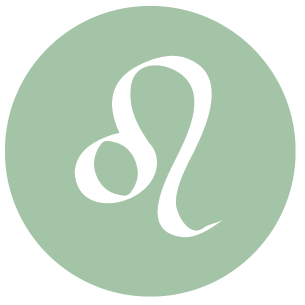 The day begins with rather nervous energy, dear Aquarius, that could have your mind racing, but might also stimulate a nice feeling of enthusiasm for recent ideas. As the day advances, there is easier, perhaps lazier, energy. You can experience a stronger sense of what is valuable to you, both with tangibles and intangibles. This can result in strong business intuition or the scoping out of a good deal. On another level, it’s a strong time for appreciating people in your life and the relationships you already have. There can be a comforting feeling of being pleased with recent accomplishments or the work you’re doing. This is a good day for healing, accepting, and unblocking, largely through feeling more appreciative of what’s already in place in your life. The day begins with quite a bit of energy and a strong focus on ideas, dear Pisces. Your mind can be hopping. However, as the day advances, there is a tendency to be drawn to people and situations that are good for you and that give you a nice sense that you’re growing, improving, learning, and healing. People are especially drawn to you, as well. It’s a good day for personal appeal, matters of the heart, creative projects, and romantic notions. Focus on releasing pressure, repairing relationships, and opening up to loving feelings. People are more open-hearted now. People tend to awaken new feelings in you, and there is a sense of being guided or guiding others that leaves you feeling stronger. 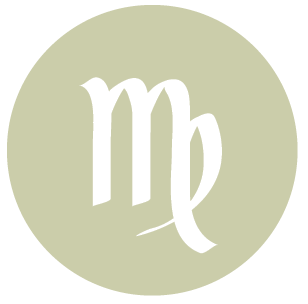 If Your Birthday is May 27th, If Today is Your Birthday full horoscope here. 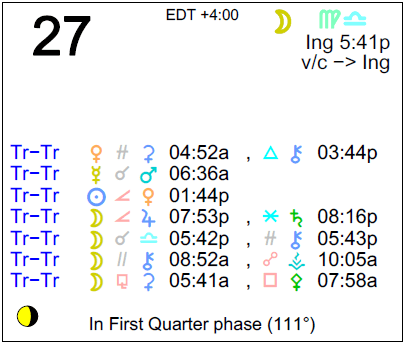 Sun 02° Taurus 49' 49"
Moon 21° Sagittarius 19' 13"
Mercury 07° Aries 58' 03"
Venus 03° Aries 08' 50"
Mars 15° Gemini 08' 35"